Todd, Nathaniel and I get together for a bit of news from Motoringfile where we discuss all manner of things, including, again, the Wil Wheaton Secret MINI Owners Club story at Motoringalliance.com. No Chad this week since he was getting doing married, but keep those questions coming in to [email protected]. On the subject of 3-cylinder engines: They can have plenty of torque. We have had several tractors on the farm that used 3-cylinder engines, and tractors need torque much more than they do horsepower. And this is nothing new: 3-cylinder engines have been used in tractors since the 1950s. You talked about the Beachcomber and Jeeps; I don’t think Jeep offers fabric doors anymore. All the ones shown on their website have metal doors with roll-up windows; I’ll bet they have to do that to meet the side-impact crash requirements. Granted that the doors are removable, but they’re probably installed for the crash tests. 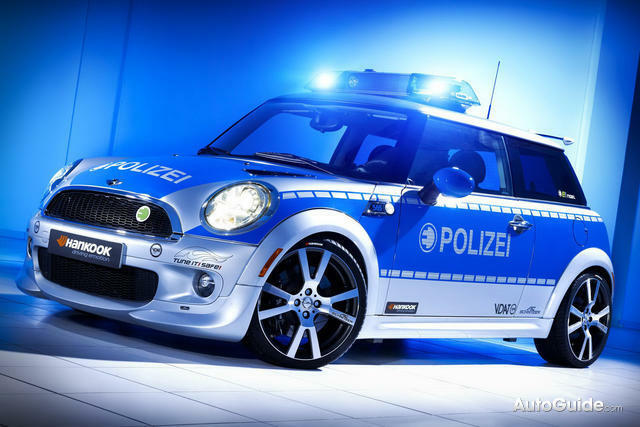 I think the Police MINI is actually German, as “Polizei” is German for police; in Italian it’s “Polizia”. Hopefully the Polizei take better care of their MINI than the Polizia did of their Lamborghini. Shortly after listening to this week’s podcast, I was in MINI of Ontario (picking up some oil from Colin, coincidentally) and overheard a Service Advisor talking about a car that had come in with a half quart of oil in the engine. Check your oil folks! And to second Nathaniel’s point: Any oil is better than none at all! If your oil is low and there’s no Castrol 5w-30 synthetic available, some other synthetic 5w-30 will work, and non-synthetic and/or some other viscosity will too if need be. If you have to go to that extreme, you should plan to get an oil change done soon, but it’s still better than driving around with no oil in the engine.